Iran, April 13, 2019 - Mohammad Javad Zarif, Foreign Minister of the regime ruling Iran, staged a propaganda meeting with members of the Revolutionary Guards (IRGC) senior command, including IRGC chief Mohammad Ali Jafari and Quds Force chief Qasem Soleimani. “The Foreign Minister and a number of his deputies met with the senior IRGC command. The Islamic Revolutionary Guards Corps has played a major role in maintaining the country’s security, Zarif said,” according to a report aired by the regime’s state TV. In this meeting, Jafari resorted to remarks aimed at saving face. “U.S. forces in the region cannot carry out any military actions against [Iran]. However, if they do take measures, they will face an immediate, serious and firm response from our side,” he said. On the other hand, the IRGC blacklisting as a “Foreign Terrorist Organization” has resulted in disagreements and feuds among the regime’s various factions. Hossein Shariatmadari, editor-in-chief of Kayhan daily, known as the mouthpiece of the regime’s Supreme Leader Ali Khamenei, threw the blame of the IRGC FTO designation on the rival faction close to regime President Hassan Rouhani. “When a number of officials launch verbal attacks against the IRGC and question this entity, they are requesting the IRGC and other military units to return to their bases! They consider the IRGC’s presence across the Middle East as useless; the missile era over; the IRGC’s missile tests as provoking the enemy; and despite the deceptions behind the  nuclear deal, they are still not willing to exit this disgraceful arrangement; and are in fact seeking to impose new restrictions through the Financial Action Task Force (FATF) and combating the financing of terrorism (CFT) bills… It’s obvious why the U.S. designated the IRGC as an FTO,” he wrote in the Kayhan editorial. Jafar Montazeri, the mullahs’ prosecutor general also shed light on the regime’s concerns. “There’s nothing new in the U.S.’ enmity and we have witnessed America’s enmity in different areas, including its support of the [PMOI/MEK],” he said.  On April 10, the mullahs’ regime had announced a march following this last Friday’s weekly prayers and the regime’s Propaganda Coordination Council in Qom Province, central Iran, had specifically said the PMOI/MEK was the reason for the IRGC’s blacklisting. Ahmad Jannati, head of the regime’s so-called Assembly of Experts, wore an IRGC uniform and voiced his support of the regime’s Majlis (parliament) members wearing IRGC uniforms and expressing their support for this terrorist entity. Sadeq Larijani, head of the regime’s Expediency Council, says the U.S. has designated the Iranian regime’s pride as a terrorist organization. Foad Izadi, known for his close relations to Khamenei’s circle, explained the impact of the IRGC FTO designation.